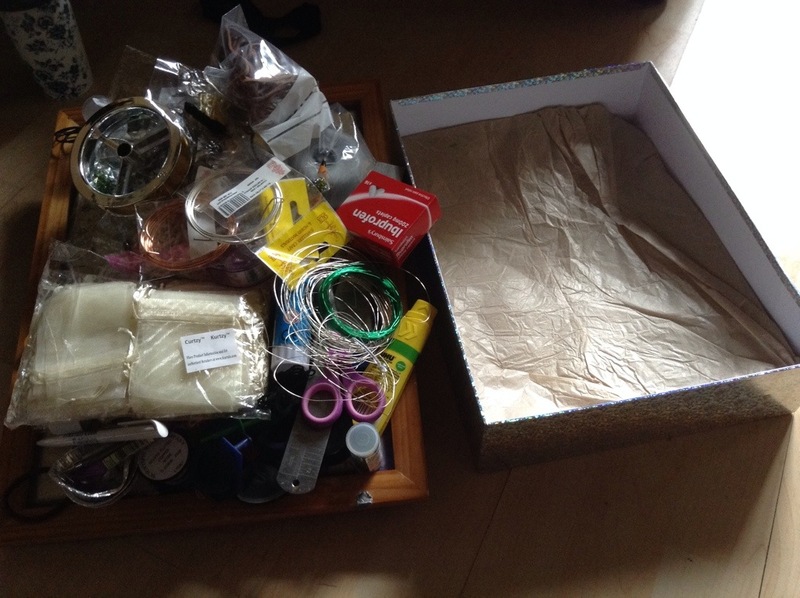 Otherwise known as Let’s Tidy Up my Craft Box. I had a piece to work on, but I’ve not been able to settle to it this week. I’m no neat freak, but I do find a peace in things having a place and being in them. 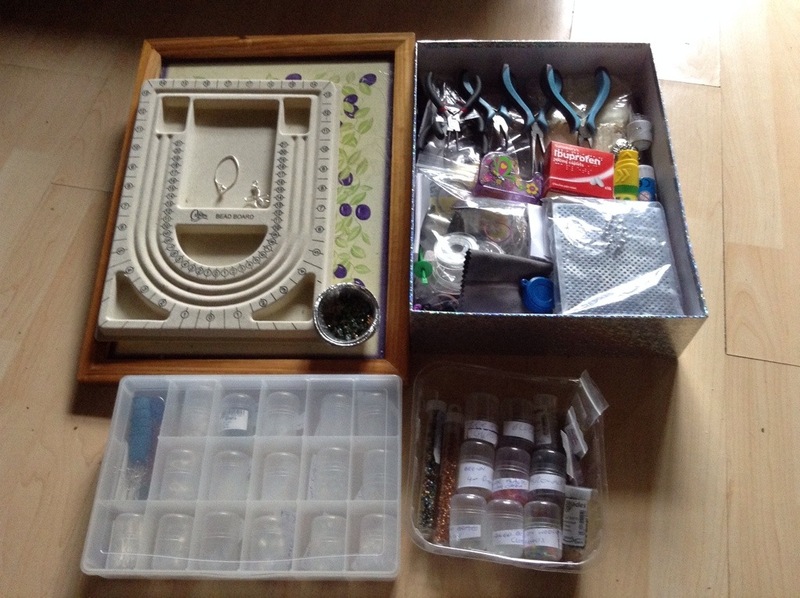 All my jewellery making lives in a sparkly box, which was originally a Christmas hamper from family. 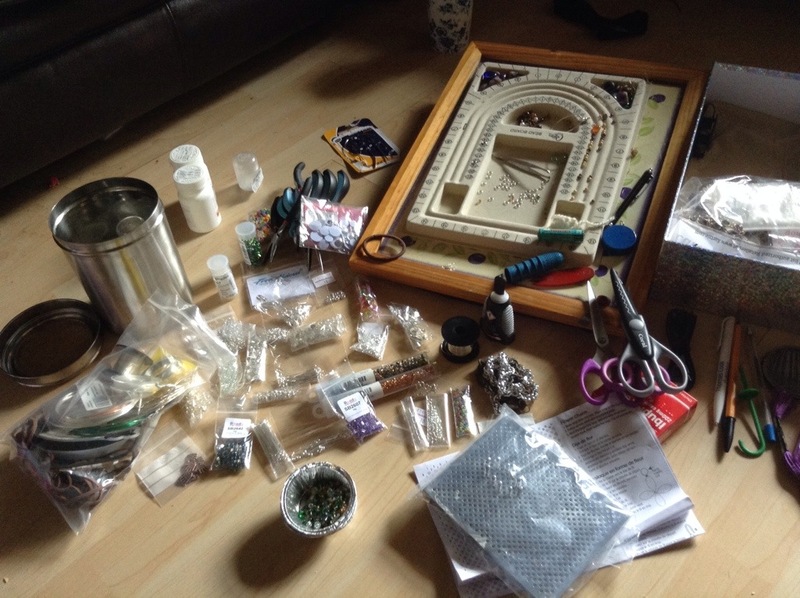 But I had so many packets of beads and clasps and findings that, ironically, I couldn’t find things. Because my brain hates me and allows me all of half an hour extra in bed on a Sunday, I decided today was a good day to tackle it. Wow. I have a lot of stuff. I really should actually make some jewellery and make a dent in it. So now I can see what I have….my OCD can really kick in. Yes, those little pots are now housing the contents of the bags. Because the bags have a sticky strip that sticks to everything but the bag and drives me crazy. And yes. I did write labels telling my what everything is. I really regret not having one of the clicky label makers. It may now be on my wish list. And then, as is my way, I had doubt that I’d picked the right storage. I decided to change my mind (I’m female, it’s a basic right), and use a box I keep embroidery thread in. However, my beloved pointed out that I frequently sit on the couch crafting, then go to get up and fall over with dead legs, catapulting whatever I was working on across the room. Which is possibly a nicer way of saying I’m a clumsy sod. So I compromised and put the tubs in the storage box. Belt and braces approach. Clean, tidy and ready for me to stop procrastinating. 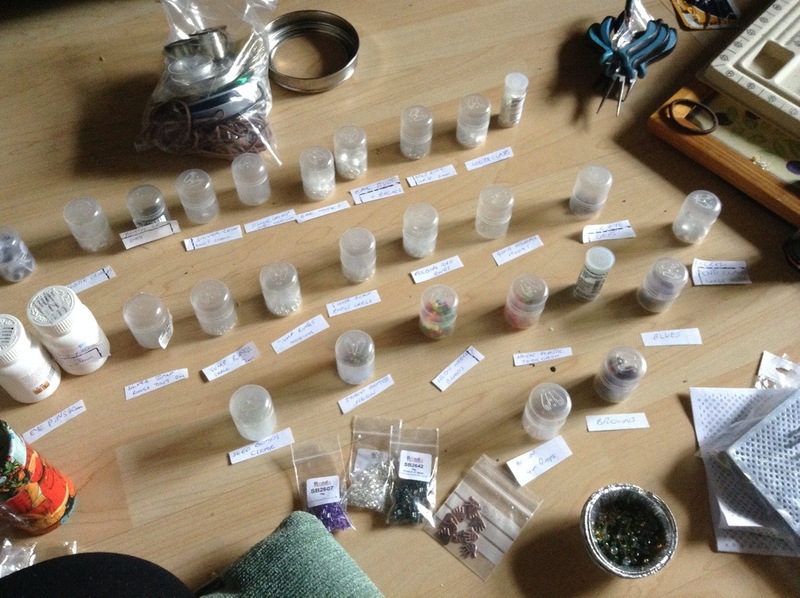 This entry was posted in jewellery, life and tagged cleaning, ocd, tidy.